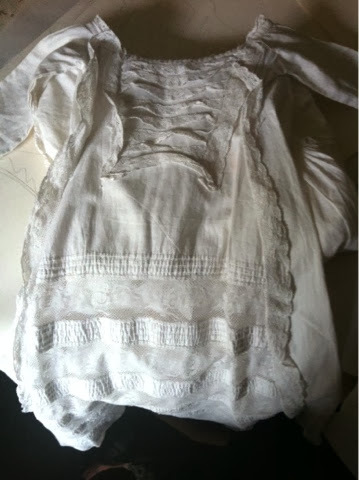 I’ve started collecting antique English christening gowns. 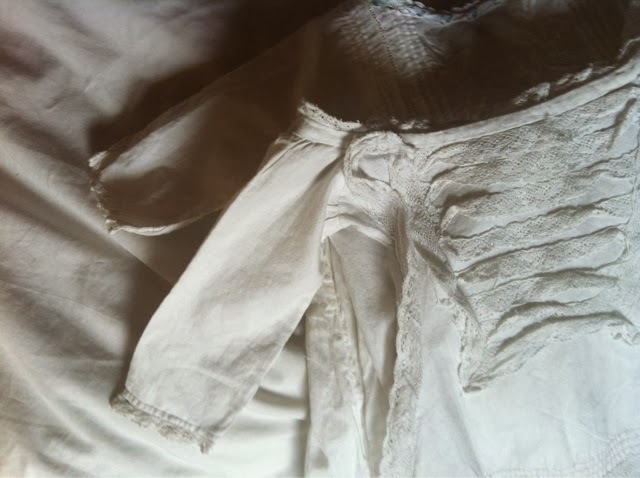 They will be my English keepsake when I move back to the U.S.; I imagine a high wall in my house one day covered in twenty or so tiny hand-stitched gowns like a flock of angels. I’m in awe of the details and the undersides, where the hand stitching is most evident, and the sleeves that are just three fingers wide. Each is uniquely stitched, embellished, ripped, stained.